There are many types of dental emergencies. What they have in common is the need for immediate assistance. You should not hesitate in contacting your dentist if you experience an emergency. Accidents and injuries that affect your mouth can result in permanent tooth loss. This can affect your appearance and your ability to perform home dental care. From a tooth that falls out to root damage, immediate treatment can prevent long-term problems. Emergency dentistry can correct the issue by providing appropriate treatment for your particular situation. When you have an accident or another injury, you may need medical treatment. However, your local Emergency Room or medical clinic is not the best place for dental treatment. 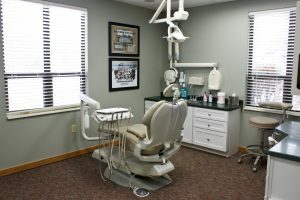 Your health care provider does not have the experience or equipment to effectively deal with dental issues. This is why you should contact your dentist if you experience a dental emergency. Emergency situations do not always involve tooth loss. In many cases, dental work can be damaged. If a crown breaks or dental braces become damaged, a visit to the dentist can prevent long-term problems. Your dental work can be repaired or replaced. Dental health does not have to be complicated. If you perform home dental care regularly and take sensible precautions to protect your teeth and your dental work, you may never experience a dental emergency. However, it is important to know what to do if an emergency does occur. It is not in your best interest to wait for an appointment. Similar to medical emergencies, dental emergencies must be addressed as soon as they occur. Immediate treatment can prevent serious issues, as well as being less costly and less painful. Your future dental health depends on that visit.